Air ducts are very important part of our houses and offices in Newport beach. The quality and temperature of air along with overall environment freshness totally depend upon it. The way it takes care of us we also need to take care of it as well. Air duct cleaning in Newport beach is very useful for our homes and workplaces. We need to be very sure about regular cleaning of air ducts.Air ducts control the air flow within building. Even temperature of the environment is also adjusted in side the building with the help of air duct system. This is very obvious that we need warm air in winter and cold air in the summer. To maintain and adjust this temperature air duct systems work continuously. This regular flow of air creates dust layers inside the walls and over the openings of air ducts. As air ducts cover large area so the system contains many turns and corners. So there is possibility of big piles of dust on the corners and edges. This dust can pollute the air traveling through it. So in order to clean you need to hire professional air duct cleaning services in Newport Beach. For this Dr. Carpet Newport Beach provides you best air duct cleaning service in Orange County. Air Duct Cleaning Services in Newport Beach For Being On The Water. Any way you choose to look at it, Newport Beach air duct cleaning is at high demand. Imagine the cold winter days right by the water. Your home must be so cold at night and first thing in the morning. In addition, the hot summer days in Newport Beach also demand a heavy usage of the air duct system. Therefore, in order to to spread to built up dust you have in your ducts, have it clean and freshened up. 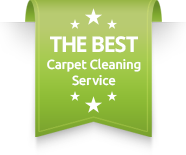 Otherwise, you may have to call for upholstery cleaning and carpet cleaning Newport Beach more often than you would like to. 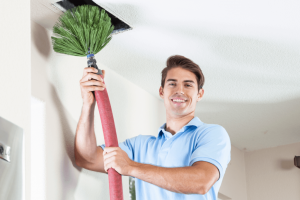 We provide best quality air duct cleaning services in Newport Beach area. This is due to our quality results and long lasting reliability as a leading caret cleaning service In Orange County. The process we adopt do not contain any use of harmful material. Most of the air duct cleaning services involve the use of common cleaning solutions. These solutions have synthetic chemical agents in it. By the use of these synthetic chemicals you will risk the health of your surrounding people instead of giving them clean air to breathe. This is because after cleaning the dust and stains may vanish, but the residues of these strong and harsh chemicals remain inside the duct. These residues react with passing air and contaminate it.To get free from all these worries you need to select best quality air duct cleaning services in Newport Beach. For this we provide you the services with guarantee of complete satisfaction so that you may enjoy breathing in your air.For further information on air duct cleaning services in Newport Beach, please contact Dr. Carpet Newport Beach.